It's common for household animals to go missing every now and then, but this isn't your average pet. 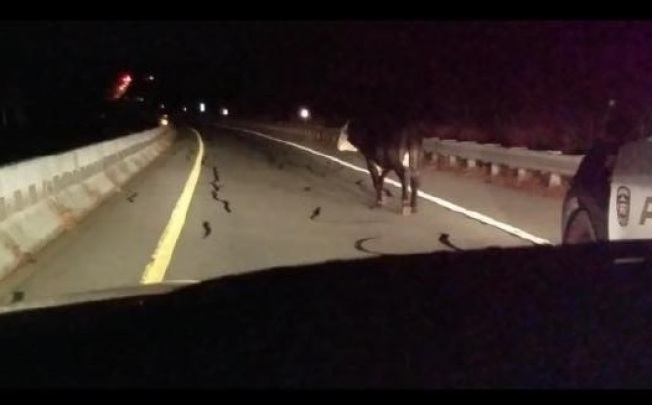 Police in Westerly, Rhode Island, say officers came across a cow on Route 78 while on patrol Sunday night. Westerly police say they had help containing the cow from a nearby farm, but the cow didn't belong to them. Now they're asking for the public's help to reach out to them if they know where the cow wandered away from.